After gaining my degree with honours in Illustration; specialising in children’s books, I became a tree surgeon for Acorn ArborCare. There’s no connection really, but I needed a full time job, and wanted to slowly build up my illustration career outside of work! I managed to get a children’s book commission from a tree work customer which was published in America through Trafford Publishing. In the time that followed, I did not pursue my illustration career, but I realised I could actually be creative with the chainsaw and tried my hand at wood carving! 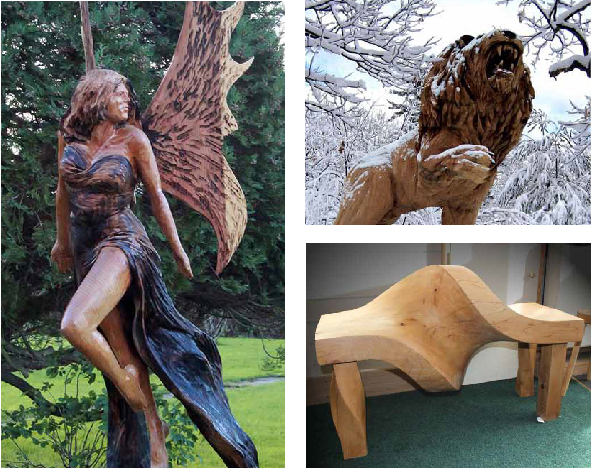 I carved for two years under the banner of Acorn Furniture and set up my own business in 2005. I now reside in North Wales, with my lovely wife Liz, and have worked in a wide variety of public places and private gardens. 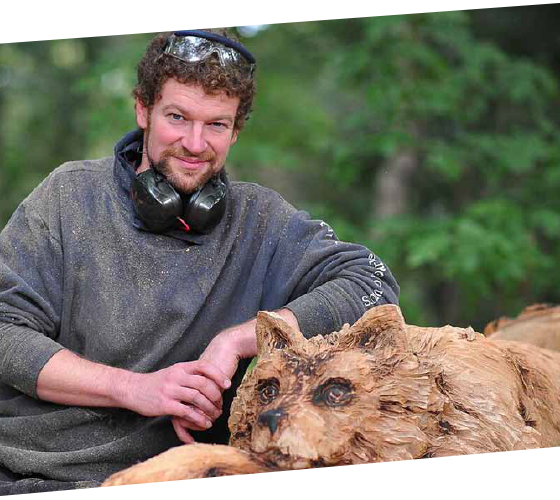 My chainsaw carving exploits have taken me all around the world. I have now competed in chainsaw carving competitions in the USA, Japan, Canada, Holland, Germany, Denmark and the UK, placing highly in many of them. All of my work is carved from trees that have either fallen naturally, or on trees that have become dangerous or diseased. Most importantly, I use wood that has come from a sustainable managed location, such as domestic housing or managed forests and woodlands.